“How Can The Jews, Of All People, Do This?” Easily. I hear this too often when discussing the dispossession and occupation of the Palestinian people. It’s a tiresome line. Sure, I understand that on the surface this seems a reasonable question. But one doesn’t have to look very far to see that it isn’t. Oppression and suffering don’t necessarily lead to a greater sensitivity to these things. We see this on a personal level, as well as on a larger scale. The victim of child abuse may well grow up to become an abuser. The victim of sexual abuse may also react to such an experience by repeating it on someone else. Many such people do not repeat the cycle, but many do. In an embarrassing moment, Presidents Barack Obama of the United States and Nicolas Sarkozy of France didn’t realize their microphones were turned on as they commiserated about having to deal with Israeli Prime Minister Benjamin Netanyahu. The political backlash, which should be a concern for an Israeli leader, is already starting to hit Obama. 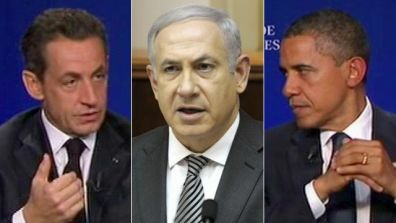 “I cannot bear Netanyahu, he’s a liar,” Sarkozy told Obama, unaware that the microphones in their meeting room had been switched on, enabling reporters in a separate location to listen in to a simultaneous translation. “You’re fed up with him, but I have to deal with him even more often than you,” Obama replied, according to the French interpreter. My latest piece for Babylon Times, hosted by Souciant, reflects on the NY Times’ Thomas Friedman surprisingly confirming the words of Stephen Walt and John Mearsheimer in their book The Israel Lobby. Aid to the PA Supported By…Elliott Abrams? Yesterday, the House of Representatives’ Committee on Foreign Affairs held a hearingon the future of aid to the Palestinian Authority. Aid to the PA is under bi-partisan attack in Congress due to the Palestinians’ campaign to somehow upgrade their standing in the United Nations. The campaign against the Palestinians, and also against the United Nations, has already gained enough momentum that yesterday’s hearing, initially to have been held in session of the Subcommittee on the Near East and South Asia, was upgraded to a hearing of the full Foreign Affairs committee. With all this, you’d think aid to the PA was doomed, would you not? 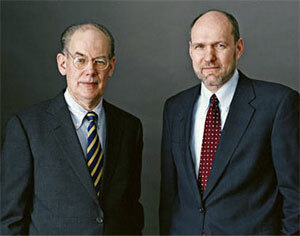 Back in 2007, when John Mearsheimer and Stephen Walt released their book, The Israel Lobby and US Foreign Policy, I disagreed with many parts of their thesis. Most of the criticisms at the time attacked the authors as anti-Semites or made straw man arguments about points the authors were not making. Thus, Christopher Toensing of MERIP and I put together an article responding to Walt and Mearsheimer in what I think was a more rational manner. I later issued an update to that article. Abe Foxman of the Anti-Defamation League wrote a book in response to Walt and Mearsheimer which offered very little beyond the same straw man arguments and insinuations of nefarious motives about the Israel Lobby authors. 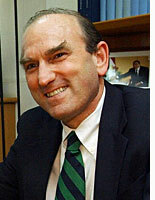 But Foxman’s case, separate from his critique of Walt and Mearsheimer, is that the Israel Lobby, as symbolized by the American-Israel Public Affairs Committee (AIPAC) simply educates the public and Congress but is only one of many lobbying groups and, in the end, American Middle East policy was based on a careful analysis of American interests, which, to Foxman, are usually identical to Israeli ones. Professor Noam Chomsky, well-known critic of American and Israeli policy, contends that the Lobby is very powerful as long as it goes along with extant US policies. That is, it does not play a significant role in determining those policies, but does close off debate and discussion about it. A while back, I wrote about “Giving up on Obama.” A natural corollary to that declaration is, as my friend, Rabbi Brant Rosen inquired, “what then”? Before I answer that, I wanted to clear up a misapprehension some took from my piece. I have, indeed, lost faith in Obama’s ability to confront the considerable political forces and act in the interest of the United States, Israel and the Palestinians and put force behind the nice-sounding words about a two-solution. But I have not given up on a two-state solution. I still feel as I always have—I’ll take whatever solution will work and will be acceptable to the people that live in the region. And the two-state solution still has the advantage of being the preferred one by the overwhelming majority of Israelis and still, from all indications, a majority of Palestinians. It is also the solution endorsed by the United States, Europe and the Arab League as well as the PLO. If a two-state solution has been rendered impossible by the massive expansion of Israel’s settlements, as many argue, that isn’t very different from one-state proposals which seem to me at least equally fanciful. And, in any case, it remains true that a one-state solution will mean a very long period of time to reorient international diplomacy towards it. 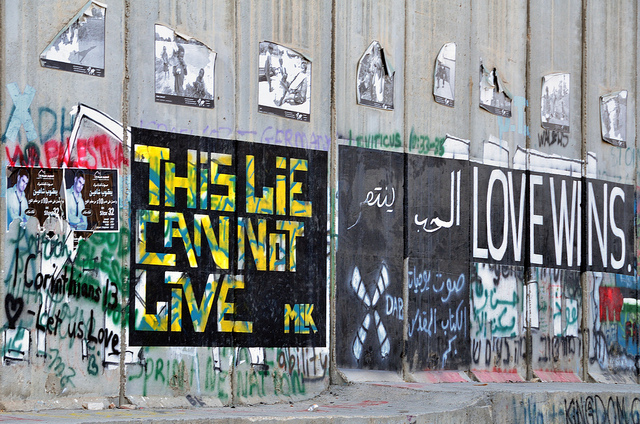 My latest piece at Meretz USA looks at the shameless list the ADL has put out of its “Top 10 Anti-Israel Groups.” Incredibly, ADL puts Jewish Voice for Peace on that list (and a few others equally absurd). When looking at who is harming both Israel and the Jewish people, I suggest Abe Foxman look in the mirror.